In most discussions of global affairs, China and India are the 800-pound (insert large animal of your choice) in the room. With almost half of the world&apos;s population, the two nations are developing at an alarming — and inspiring — rate, their newspapers along with them. While much media analysis mourns the decline of print journalism in the U.S., associate professors Nikhil Moro of the University of North Texas and Debashis Aikat of the University of North Carolina, Chapel Hill looked at the newspaper industry boom in China and India for solutions. Taking their cue from Eric Schmidt, who somewhat infamously told the American Society of News Editors, "We have a business model problem, we don&apos;t have a news problem," the duo identified 10 successful models that could breathe new life into U.S. news. In "Chindia&apos;s Newspaper Boom," published in Global Media and Communication, they point out that while China and India have historical similarities like social inequities and a growing middle class, their media industries are quite different. In China, the news is getting "freer but messier" as a result of the end of government subsidies for all but four publications in 2003. India&apos;s newspapers have come under fire for inadequate fact-checking, sensationalism, ignoring the rural poor and publishing paid items as news. Still, lessons can be pulled from their stories — together, the countries sell nearly 220 million copies of 3,300 or so titles every day. These two markets have largely contributed to a 13 percent increase in Asia&apos;s paid-for daily circulation in the last five years. Population aside, the raw numbers are striking: In 2010, the combined daily print newspaper circulation in the U.S. was less than 50 million. The traditional legacy media model — in which newspapers rely on newsstand sales, paid subscriptions and advertising to generate revenue — is alive and well in the Asian market while suffering stateside. 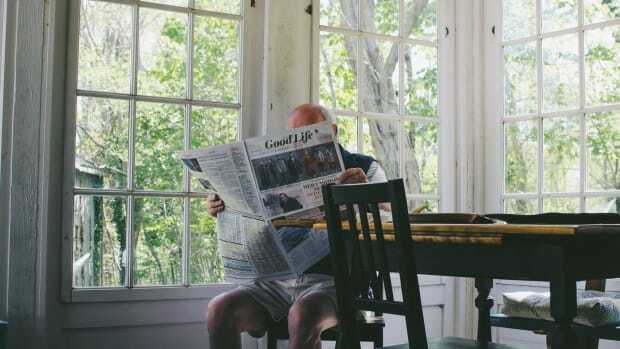 As the study notes, "These newspapers have flourished because people in China and India cherish their newspaper reading habit and have the time to read and inclination to buy a newspaper every day." This free time and cultural value coincides with surging literacy levels — and perhaps is a result of less time spent online. In an e-mail interview with Miller-McCune.com, Aikat explains, "Although there is little research to prove it, low Internet penetration and lack of widespread computer use have possibly sustained the dominance of newspapers as the primary source of information and news for the middle class consumers." He added, "Television is a fleeting medium and fails to provide in-depth coverage of news." Moro cautions against confusing correlation with causation in the relationship between the Internet and print media consumption. "India&apos;s [Internet penetration rate] is about 7 percent and severely skewed in favor of urban areas, while China&apos;s is nearly 35 percent — more than 450 million Chinese use the Internet, almost always via broadband ... the contrasts are astounding — what&apos;s part of urban lifestyle is still an elusive privilege for most people in villages." And online models are thriving, too. Free-access Web-based newspapers like The Standard, the first free English daily paper in Hong Kong, and Mint, The Wall Street Journal&apos;s exclusive partner publication in India, rely exclusively on advertising. A few paid Web content sites have emerged in recent years (particularly in China), which provide subscription-based niche products for professionals; one example is China InDepth, an English-language publication that features business intelligence on China. However, most online news in both countries is still free. Crowd-sourced content and citizen journalism have also taken hold in India. (Communist China "censors and abhors citizen journalism," the authors note.) One example is the CNN-IBN Live Citizen Journalist platform, which invites would-be citizen journalists to use it on four levels: "Fight Back," "Save your City," "Be The Change" and "Green CJ." Each initiative involves, to a different extent, using the website as a mouthpiece to increase social awareness or effect change. Moro says that Indian journalists must make ethical decisions daily in the absence of a national professional code of ethics. (For more on how this has influenced journalism in India, check out "Going Glocal.") On the whole, he argues, Indian journalists make good judgment calls: "Generally, many of India&apos;s editors have shown an abiding commitment to protecting civil libertarian values by confronting political authority — even if not corporate greed — through honest commentary." The philanthropy model, best embodied by the Times Centre for Media Studies and the Express Institute of Media Studies in India, has been employed to combat this. These organizations are funded by donations intended to improve the quality of journalism in the country. Such a business plan could also translate to the United States; Moro asserts that if public generosity sustains through tough economic times, philanthropic publications could be a viable option. Florida&apos;s 240,000 daily circulation St. Petersburg Times, for example, is successfully run by the nonprofit Poynter Institute for Media Studies. But the consideration by some of India&apos;s for-profit newspapers of soliciting donations from donors and consumers raises questions about how changes in funding could influence credibility. Perhaps one of the new business models best suited to the U.S. — in spite of the debate in Washington over pulling funding from it altogether — is the public press model, based on the National Public Radio business strategy, which draws income from non-advertising sources including subscriber fees, donations and grants. In China, the press is more or less the voice of the Communist Party, and the party directly funds People&apos;s Daily. The Indian media, on the other hand, attracts investments primarily from major business enterprises, since the Indian government has allowed up to 29 percent of a media firm to be owned by foreign investors. This nonprofit amalgamation of philanthropy from foundations and individuals and state and business investments creates noncommercial general interest news; one stateside example of this in local news is the San Francisco Public Press. Finally, the aggregator news model, in which search engine and news firms pull together headlines from different sources according to readers&apos; interests, shows potential to expand in the future as technology expands. These sites provide news alerts and feeds to mobile phones and draw on a small quantity of original content to drive traffic. The China Internet Information Center, the authorized government portal to China, and Rediff Newshound in India, which aggregates content from more than 1,000 news sources, are probably the most prominent organizations that employ this model. Perhaps the best example in the U.S., The Huffington Post, has been criticized for a lack of original content, but it has achieved a huge readership — a reported 25 million visitors a month. And since its acquisition by AOL, The Huffington Post says it is shifting its strategy to provide more original reporting. Moro suggests that such aggregator sites could correct for the confirmation bias in the media diet — the tendency for consumers to seek out the news that agrees with what they already believe. As media industries define their place in the changing technological landscape, Moro offers some advice: "Newspapers, as organizations, are a business, but journalism is not. For any free society that values civil liberties, to make journalism a business means to pick &apos;self-destruct.&apos;"
However, he and Aikat caution against interpreting the new business models emerging overseas as panaceas for America&apos;s ailing news industry. As Aikat concludes, "Newspapers in the U.S. have failed to replicate innovative news models from other nations. We cannot blame U.S. newspapers for this. People in the U.S. and other developed nations do not have the time to read! So, they are reading less. Period."